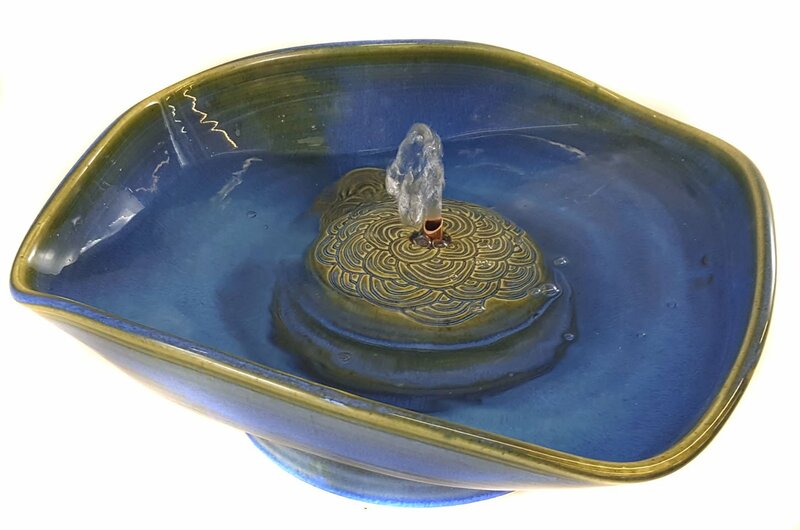 This cat fountain is in our Bright Sky glaze showing a lovely blend of hues. 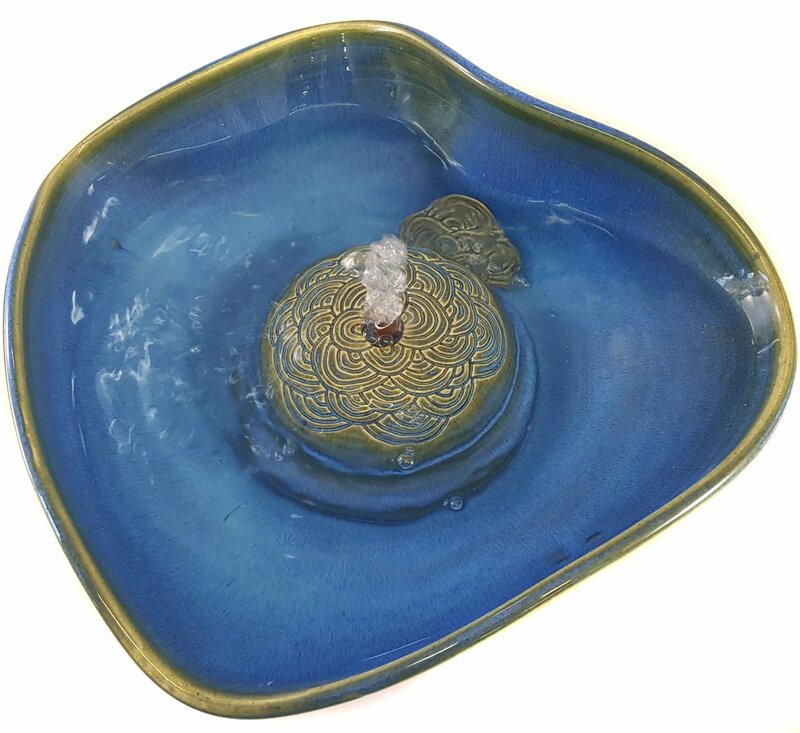 The bowl was wheel-thrown and shaped into this dynamic form and the center piece has our Nami design. 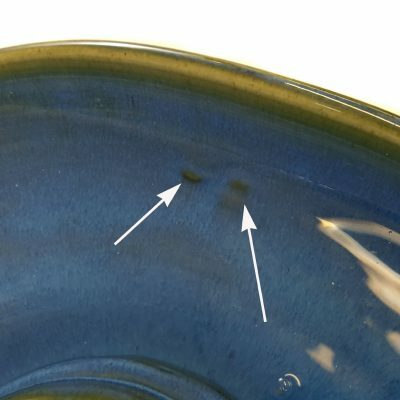 Reduced due to two small bumps on the inside of the bowl and the pump hide had a small glaze run which was ground out. See the last two images. Create a stream by adding a Cat Tap or Serenity flow you can swap in and out. * 5 inches high at the tallest and 12.5 inches in diameter at the widest. Each cat fountain is handmade of the highest quality stoneware, one at a time and each is one of a kind. We make our own glazes from raw, pure minerals so we know exactly and how much of what is in them and can insure that they are food safe. Food safe is not simply a matter of containing no lead. If too much of any colorant is used or if any of the several toxic colorants are used the piece will not be food safe. We restrict the percentage of only non-toxic colorants to standards established by scientist potters from data derived from their extensive testing for food safeness. 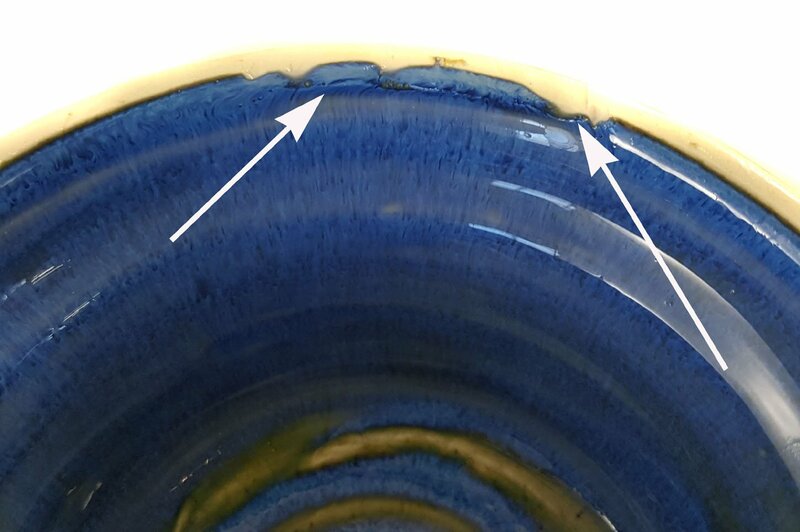 If a ceramicist doesn’t know what is in his glazes he has no way of knowing if they are food safe. 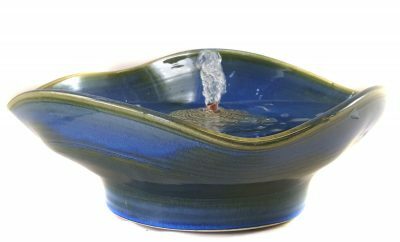 We guarantee our cat drinking fountains to be completely food-safe. In addition they are extremely easy to clean, as many of the reviews affirm.